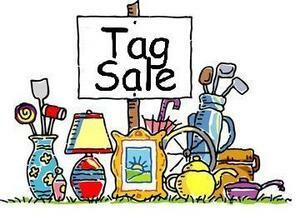 Huge Tag Sale on Southbury Green on September 15! Southbury Volunteer Fireman's Association (SVFA) Ladies Auxiliary Fall Tag Sale on September 15 from 9am to 3pm on the Southbury Green! Isn't it time to get cash for the items sitting around your attic or basement? Gather your treasures, invite a neighbor or friend to join you, and participate in the sale. Crafters and Flea Market vendors are also welcome. Our 125+ spaces sell out quickly, so if you're interested in participating, don't delay. Spaces: 10'W x 10" D-$25; 10'W x 20'D- $40. Send in your application today!